THE PICKIEST EATER IN THE WORLD: AIRASIA FLIES TO TAIPEI & 8 THINGS TO DO WHEN YOU GET THERE! 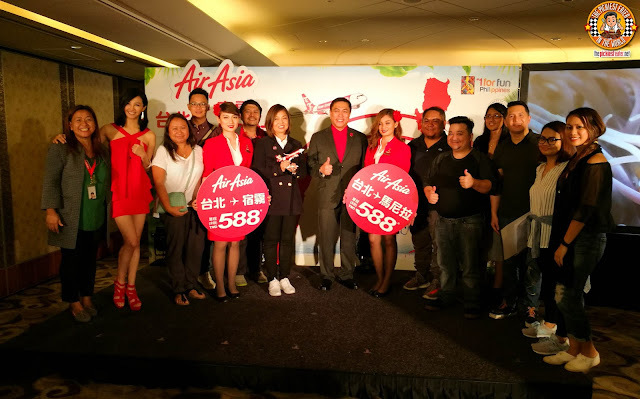 AIRASIA FLIES TO TAIPEI & 8 THINGS TO DO WHEN YOU GET THERE! It's not every day you get asked to be a witness to a historic occasion, and when you do, it would be silly to pass up the opportunity. That is exactly what the little voice in my head said to me when I was asked at the last minute if I was available to be part of the contingent of Filipino bloggers and media to join Air Asia's inaugural flight from Manila to Taipei. 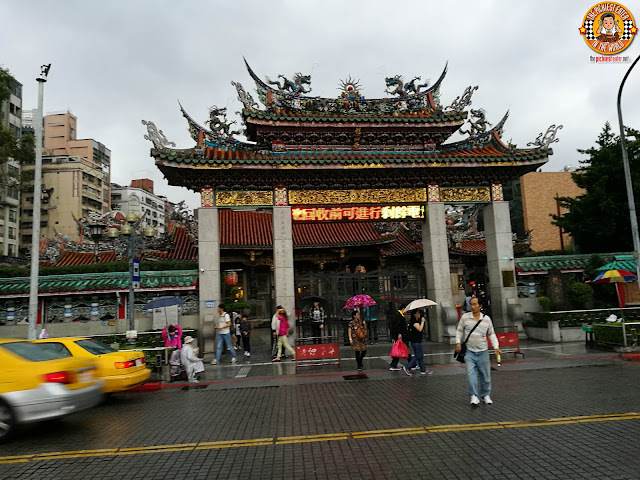 Rina and I had always wanted to go to Taiwan for a food trip, but our schedules never really permitted it. When I got the call from Air Asia asking if I would be interested in joining them, and finding out that getting a Visa for Taiwan would take me roughly around 15 MINUTES (You can apply for an exemption if you have a Visa from countries such as the USA), I knew I couldn't pass up this chance. 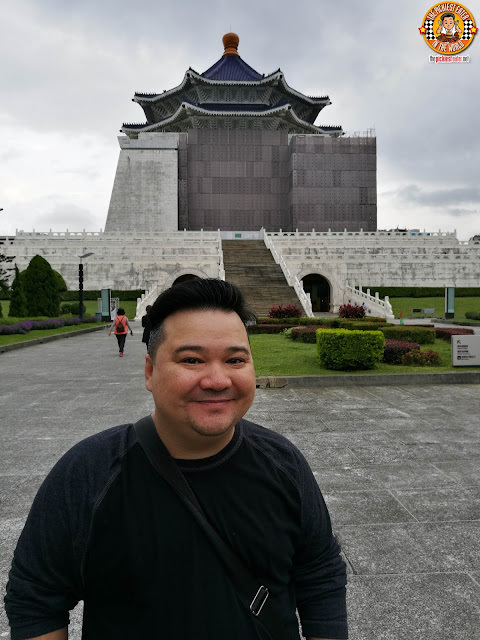 So on a whim, it was off to Taipei I went.. and as it turns out, Taiwan would be one of the most beautiful countries I've ever visited in my life! 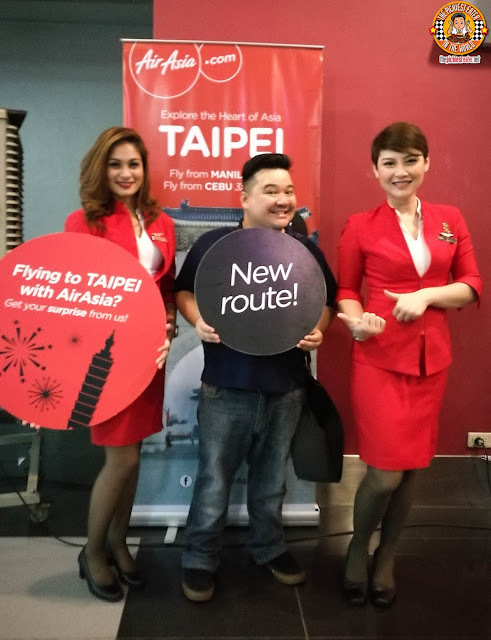 Flights from Manila to Taipei are scheduled daily, leaving NAIA 3 at 11:05 P.M. and arriving at Taiwan at 1:10 A.M. Flights back to Manila leave Taipei at 1:35 A.M. and you'll get back by 3:45 A.M.
Good news for our friends in Cebu, AirAsia also offers direct flights to Taipei three times a week! 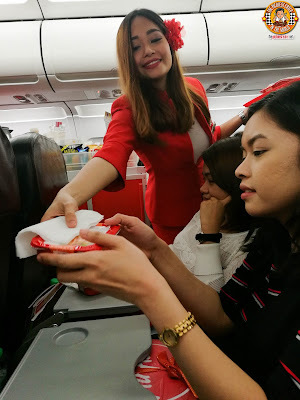 As soon as we entered the boarding area, we were greeted with a simple treat from the AirAsia crew! To set the tone for an epic trip, we were given a box of delicious Steamed Pork Buns from the famous restaurant, Shi Lin, which I believe is named after the iconic night market in Taipei. 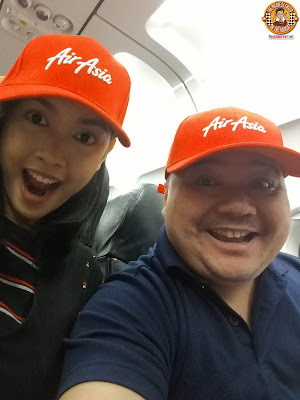 After making my way to my seat, I was elated to find more goodies waiting for me, including a new AirAsia cap and Pillow, courtesy of my new friend Noelle and the awesome AirAsia Crew! In case I didn't mention it before (I'm pretty sure I did), AirAsia has the most gorgeous Flight Attendants! 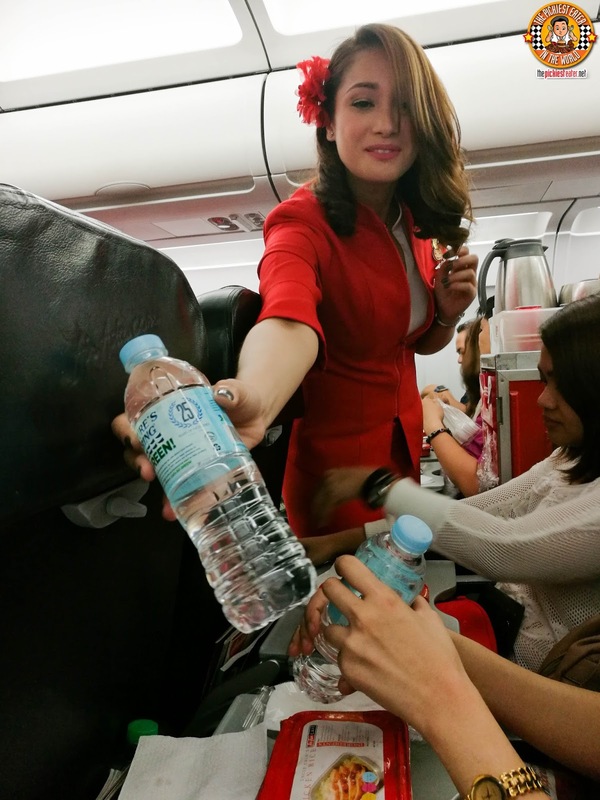 Apart from that, their In-Flight menu is perhaps the best you'll find from a budget Airline. It can honestly give the bigger airlines a run for their money. Given that this was the inaugural flight, it was an honor to have AirAsia Philippines CEO Captain Dexter Comendador manning the controls. 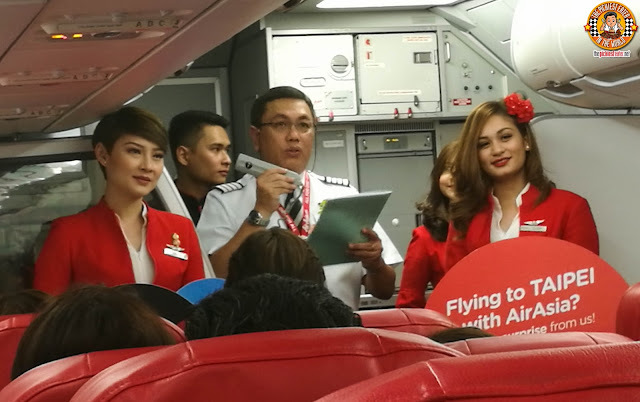 The good captain took a few moments to say a few words to welcome the first passengers of AirAsia Philippines' maiden voyage of Manila to Taiwan. We arrived to a Rockstar welcome from the AirAsia Taiwan crew, as we were given leis as a symbol of friendship between our two neighboring countries. 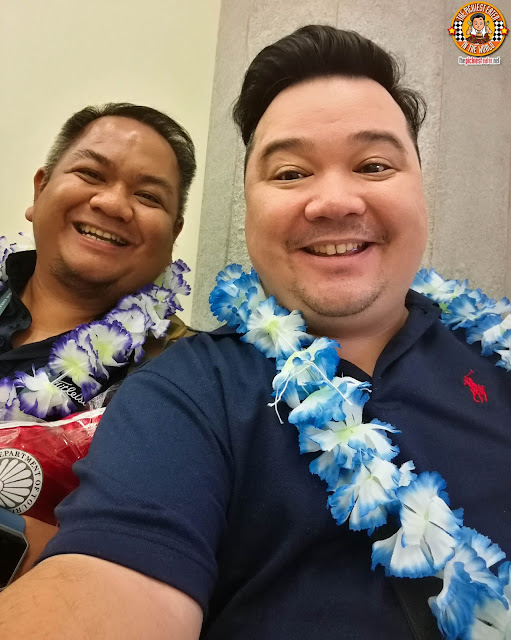 Me and my roommate Melo of Out of Town Blog totally ROCKED those leis. We then proceeded to our hotel, where we got a few hours of rest before the long day ahead of us. 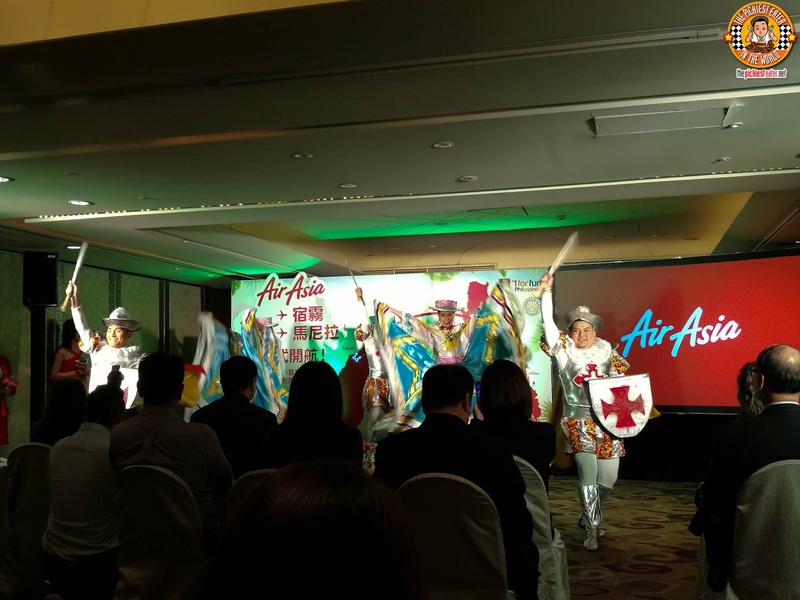 The AirAsia Manila-Taipei "Launch Party" was held at the Sheraton Grand Hotel Taipei. The festivities began with a dance tribute to Magellan's landing in the Philippines. 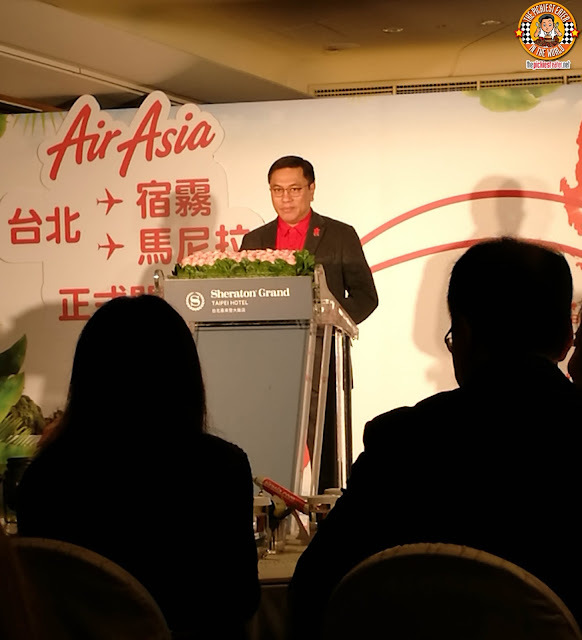 Captain Comendador took the stage to give some inspiring words regarding the importance of maintaining a harmonious relationship with the beautiful country of Taiwan, and how exciting it is that AirAsia has made more accessible to Filipinos as a tourist destination. Our Taiwanese Host (She didn't speak English so I didn't get her name) interviewed Travel Show Host Patty Wu, who went on a tour of the Philippines, and told the audience how she was left spellbound by our dazzling beaches, and more importantly, the heartwarming hospitality of the Filipino people. 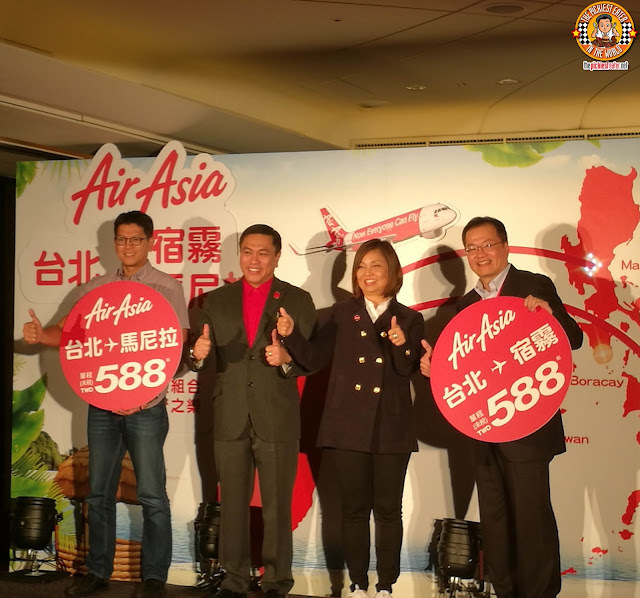 Captain Dexter was then joined on the stage by AirAsia's North Asia President, Ms. Kathleen Tan, as well other key members of AirAsia, and stood together as a symbol of the strong partnership the two countries have have formed. After the speeches, the Philippine contingent joined the stage for a photo opportunity with Captain Comendador and Ms. Tan. 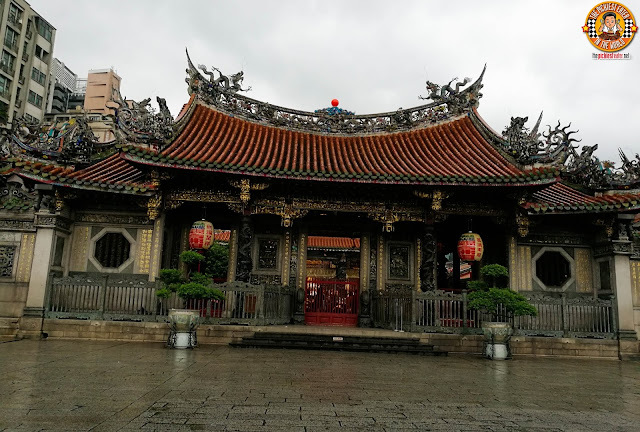 Here's a quick rundown of things my group and I did during our trip to Taiwan! 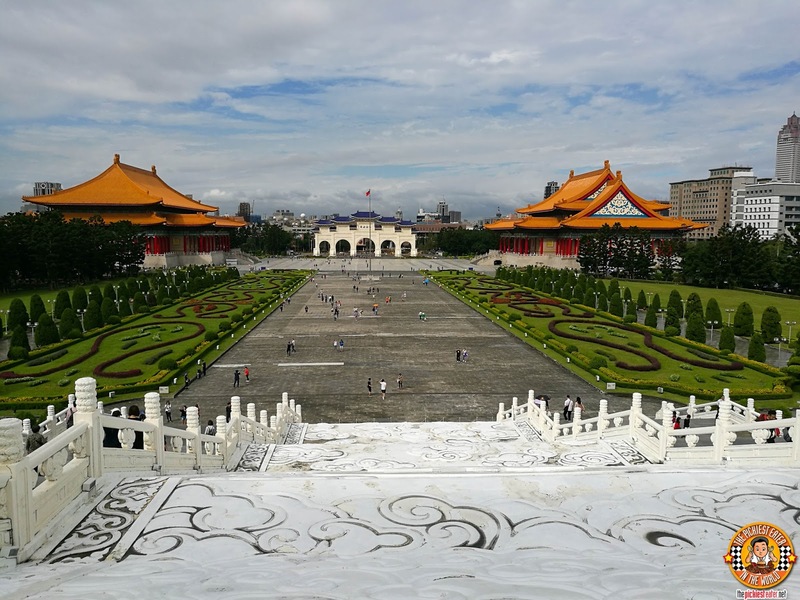 Perhaps one of the most iconic landmarks of Taiwan is the Chiang Kai-Shek Memorial Hall. 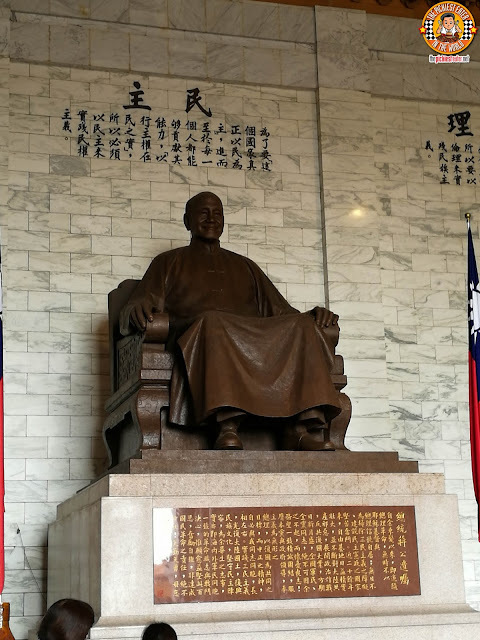 Built in 1980 in honor of the former President of the Republic of China. 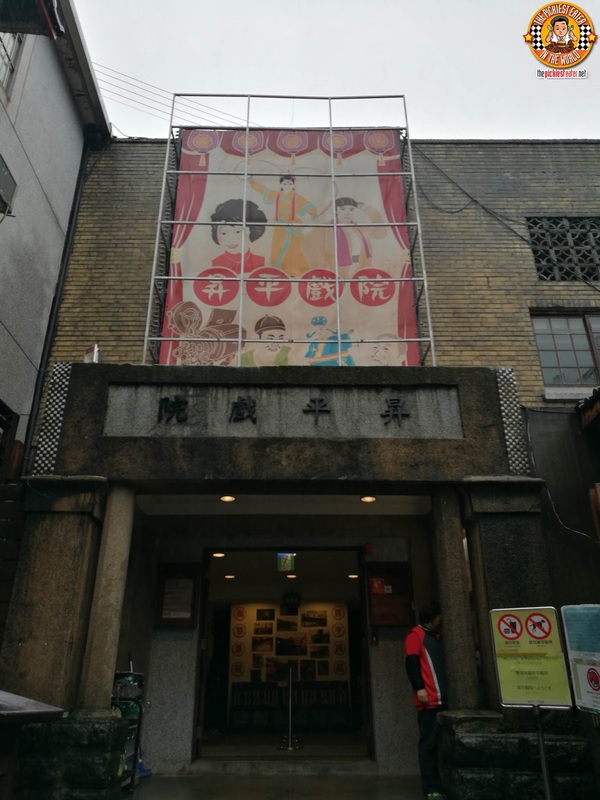 We were pressed for time, so we immediately took the elevator to the Fourth Floor, where The Main Hall is located. The hall houses a large monument to Chiang Kai-Shek, peacefully sitting on a chair, watching over his people, reminiscent of the Lincoln Memorial in Washington DC. 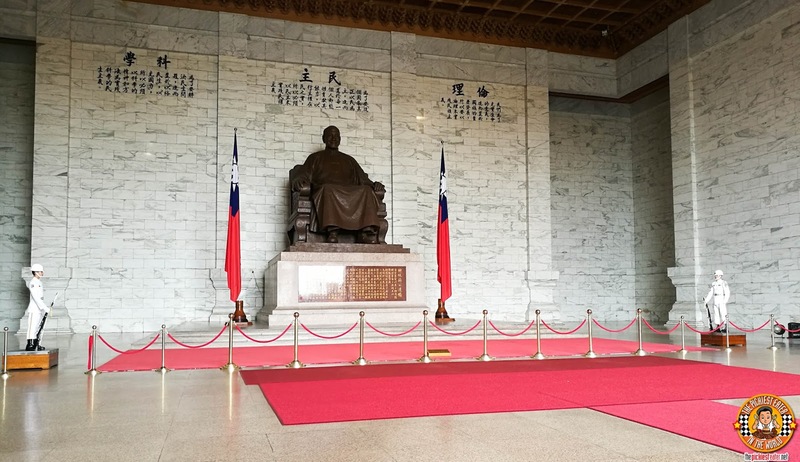 Every hour, a changing of the guard ceremony is held in front of the guests of the Memorial Hall, and is one of the most highly anticipated events of the landmark. 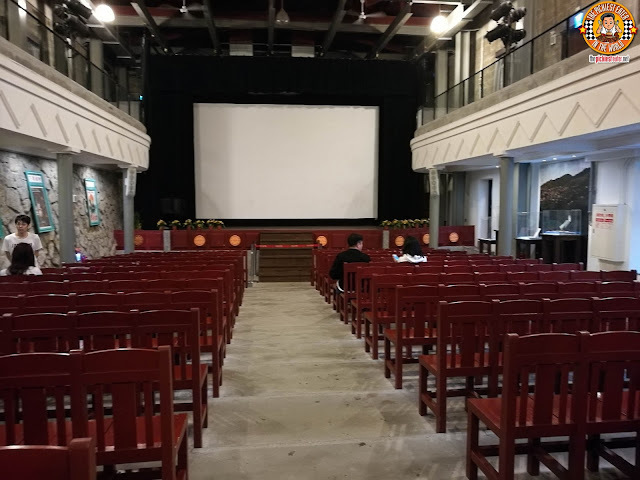 From the Memorial Hall, you can make your way out to the Liberty Square, where the Taiwan National Theater, and the Taiwan National Concert Hall is located. 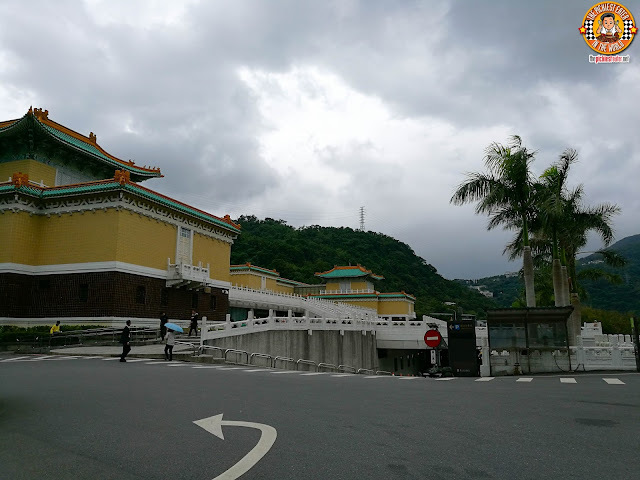 If you're interested in getting an even further glimpse of Taiwan's history, then you must make a stop at the Taiwan National Palace Museum. 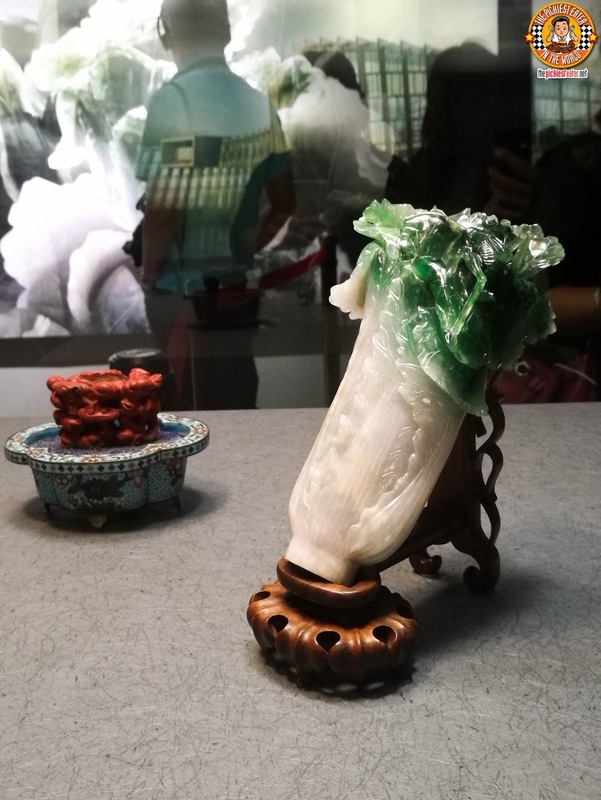 Housed in the massive Museum Complex is a collection of nearly 700,000 Ancient Chinese Imperial Artworks and Artifacts, earning it the distinction as one of the largest in the world. 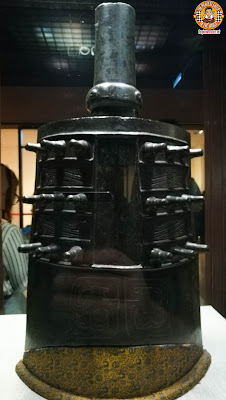 The detail on this piece was remarkable. 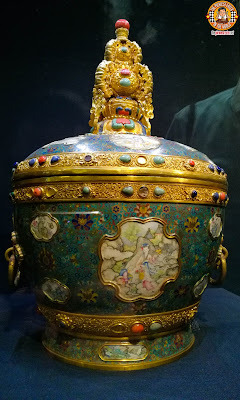 You will undoubtedly be left spellbound by in which the manner these national treasures have been preserved. The intricate attention to detail, the care taken into the preservation of these priceless items is proof of how the Taiwanese people take pride in their heritage. The Longshan Temple of Manka is found in the heart of Taipei. The design features are a prime example of Classic Taiwanese architecture. 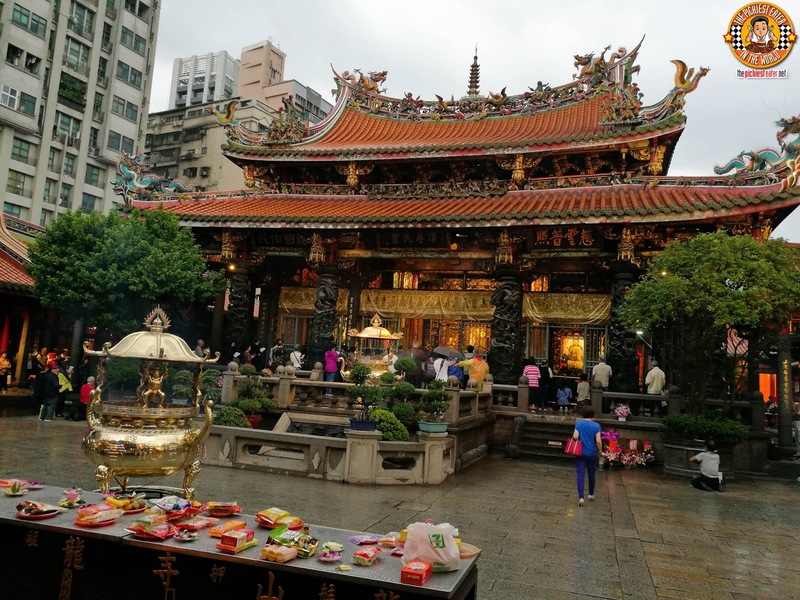 But more than just a beautiful structure, it has become a beloved place of worship for almost a century, with the Taiwanese people continuously rebuilding and renovating the temple when needed. One of my favourite spots in Taipei, was the Nanya Rock Formations. 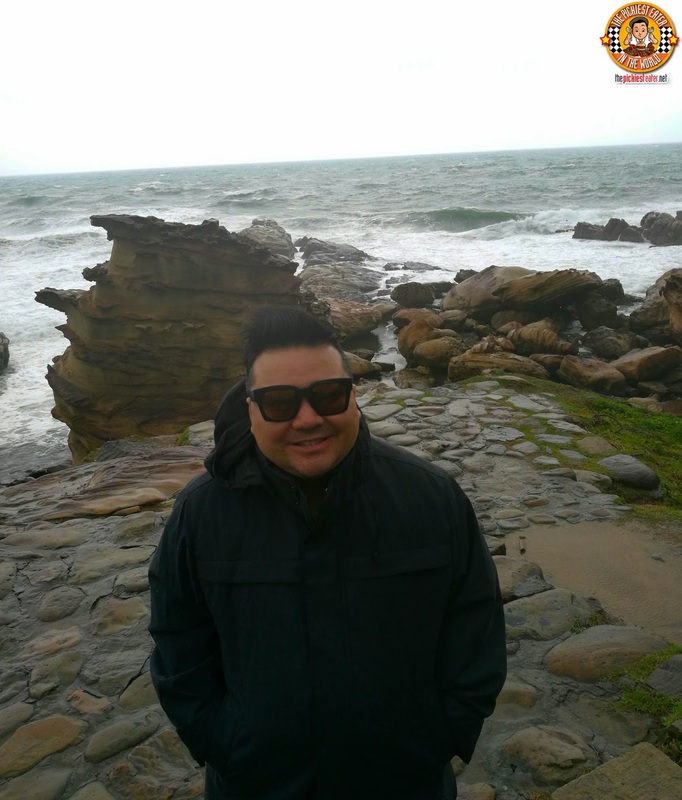 The cold weather actually made my experience in the Nanya Rocks even more memorable, because that's when it became clear that we were no longer in the Philippines. 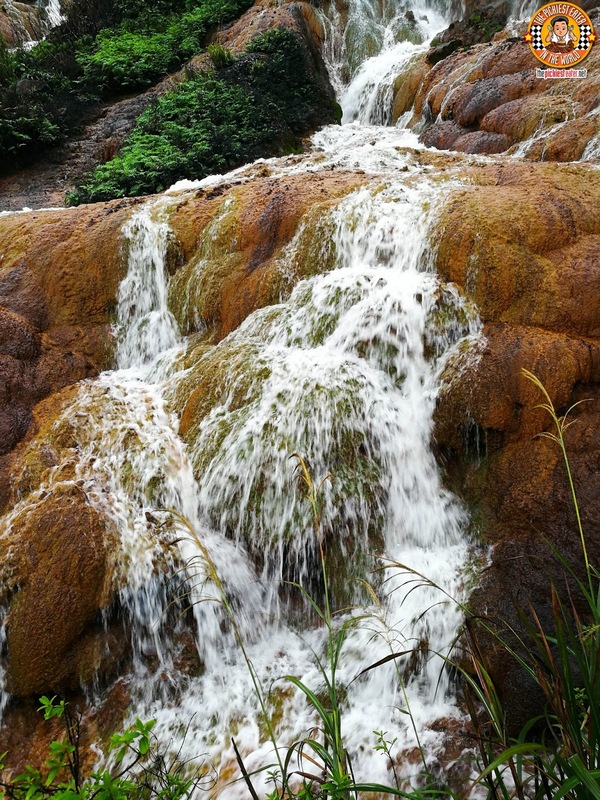 Not too far off from the North Coast, you will find the Jinguashi Golden Waterfall. 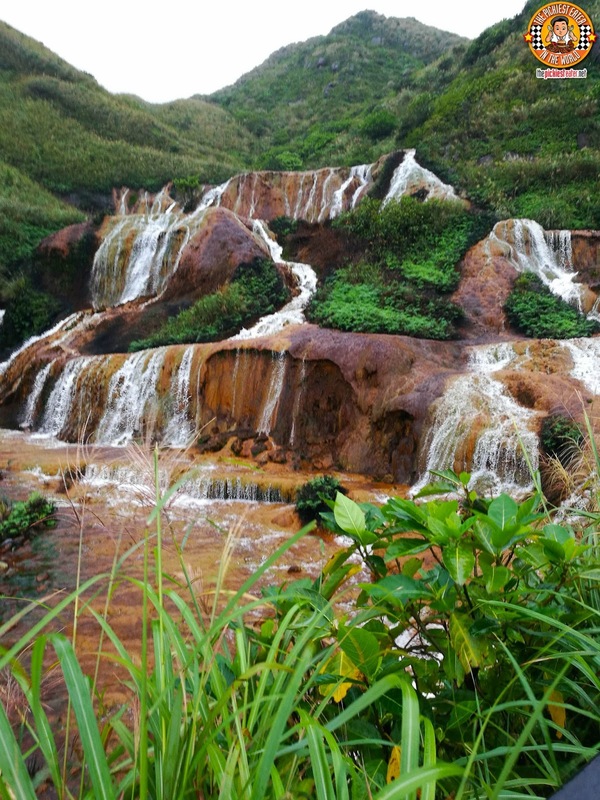 The falls are located along the main road, making it very popular tourist attraction. The "Golden" name is derived from the area being a hotbed for Gold and Copper back in the day. As inviting at the water may look, it unfortunately, has a high level of acid in it, making it very toxic. 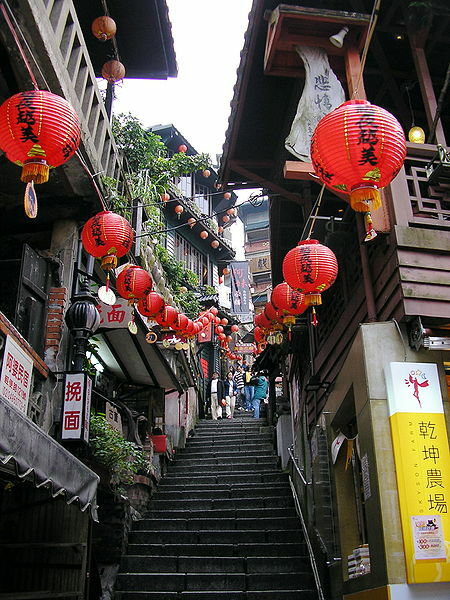 The mountain town of Juifen has become one of the top tourist attractions in Taipei. Let me make something clear to you all.. It's a MOUNTAIN TOWN so expect a whole lot of stairs. You'll find a plethora of different shops and restaurant at Jiufen Village, but for me, one of the most interesting structures located there is the Shengping Theater, one of the oldest Theaters in Taiwan. An old projector was preserved as an important piece of Memorabilia. No trip to Taiwan is complete without visiting the hottest tourist attraction in Taipei, the mighty Taipei 101. 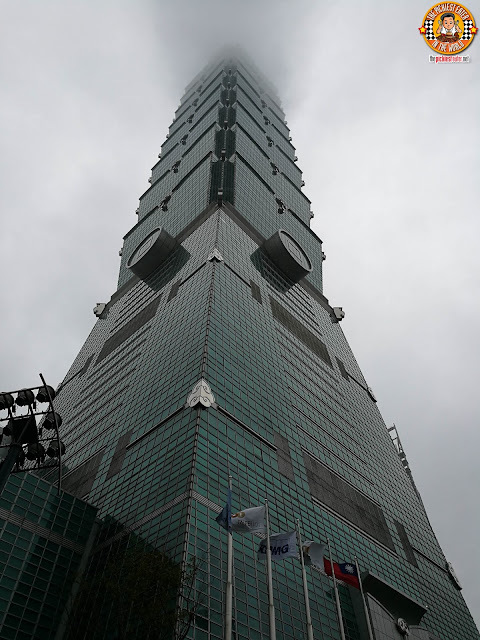 Once hailed as the tallest building in world, the towering skyscraper is home to 101 floors, filled with corporate offices, retail shops, and the observatory on the 89th floor that gives you a 360 degree view of the gorgeous city of Taipei. 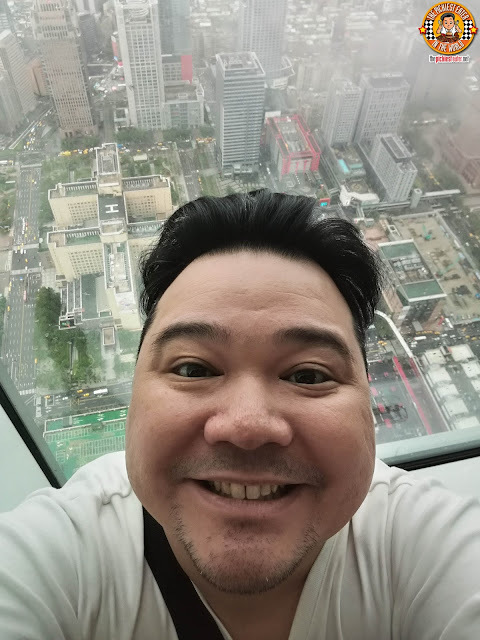 I got over my fear of heights for a second to take a stunning photo of the Taipei Cityscape. Sadly, my big fat head got in the way of said stunning photo. The 88th floor is where the building's Wind Damper is located. 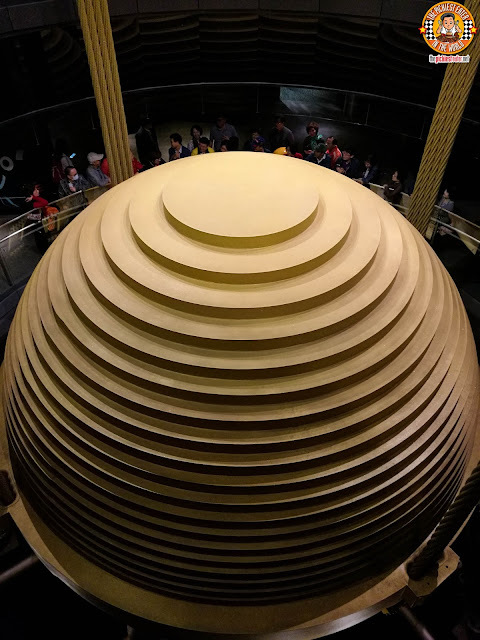 This massive 600 ton ball, is integral to keeping the entire building balanced, especially during times extreme weather conditions. 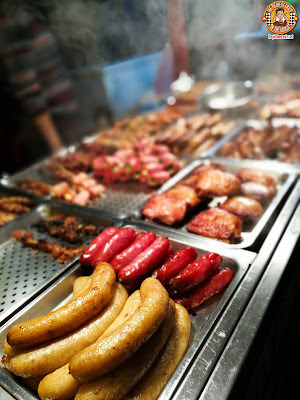 As a food blogger, I have to admit the driving force behind my desire to go to Taiwan was the street food. 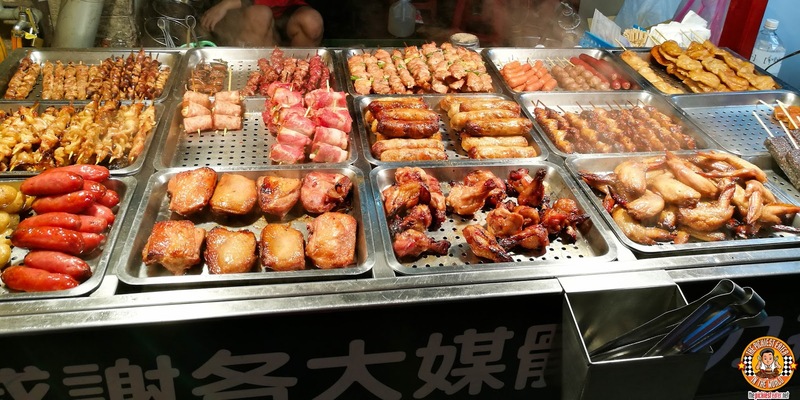 It truly is a street food haven, with a wide selection of eclectic items to choose from. There are quite a few places that houses street food vendors, but I was only able to visit Shi Lin Night Market, and the selection there was quite extensive. 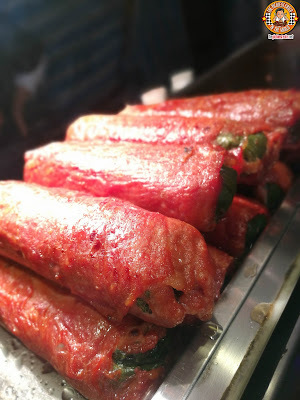 The sausages are unbelievable, with a different range of flavors (Sweet, Spicy, Savory) to choose from. The beef rolls, with some sort of spring onion or something like that inside (You know me and my veggies hehe), were so good. I noticed the Taiwanese have a fascination with Steak cut into cubes, and cooked with a blow torch, then sprinkled with a bit of Himalayan Salt. 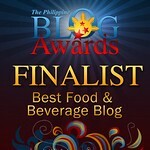 It's quite delicious, but it will leave you longing for a couple of scoops of steaming white rice hehe. 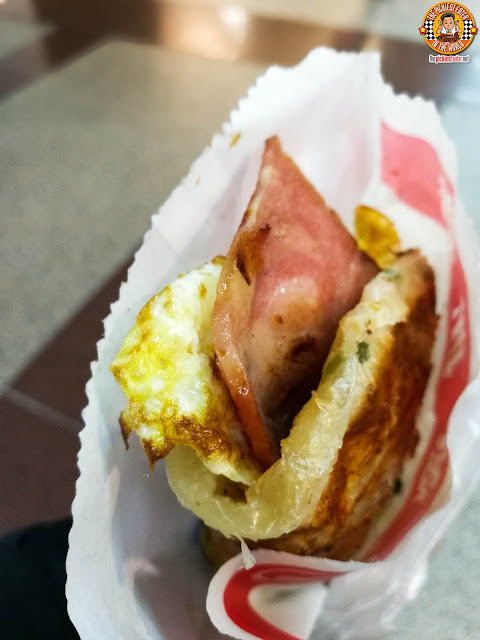 My favorite street food out of everything i tried in Taiwan, had to be the Scallion Pancake. A remarkably flakey pancake is fried, with an assortment of items to choose from as your filling. Naturally, I chose the Bacon and Egg hehe. This item, however, wasn't available at Shi Lin Night Market. 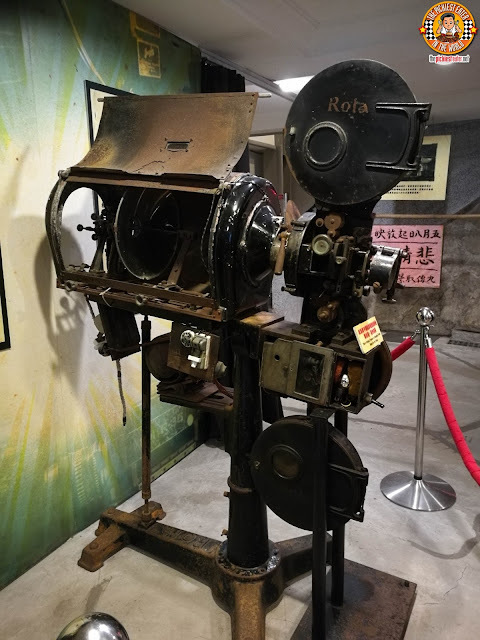 Instead I was able to find this gem at Chin's Pizza, located at the MRT Taipei Main Station. Even at first glance, the flakiness of the pancake was highly evident. 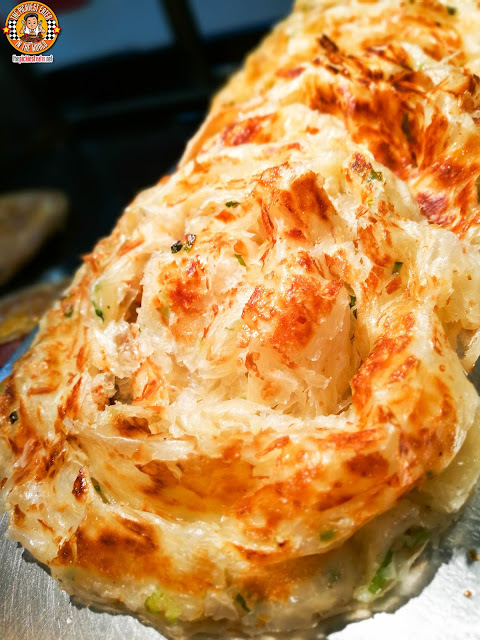 I couldn't help but take a video of how my Scallion Pancake was made. I watch this video from time to time, and it never fails to make me hungry. There is also another place in Yongkang Street, another popular food district, that is incredibly popular among the locals called, "Thahn-Ky" that was recommended to me by fellow food blogger, Tales from the Tummy. Notes: Personally, I would skip the famous "Stinky Tofu" street food dish that for some strange reason seems to be quite popular. 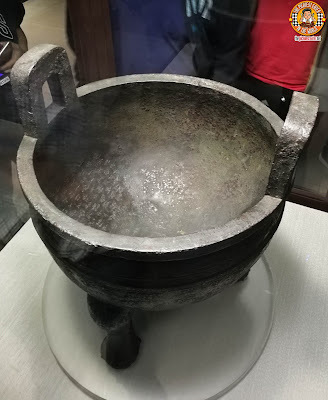 Ding Tai Fung is usually a tourist attraction, but the quality is more or less the same as it is here in the Philippines. 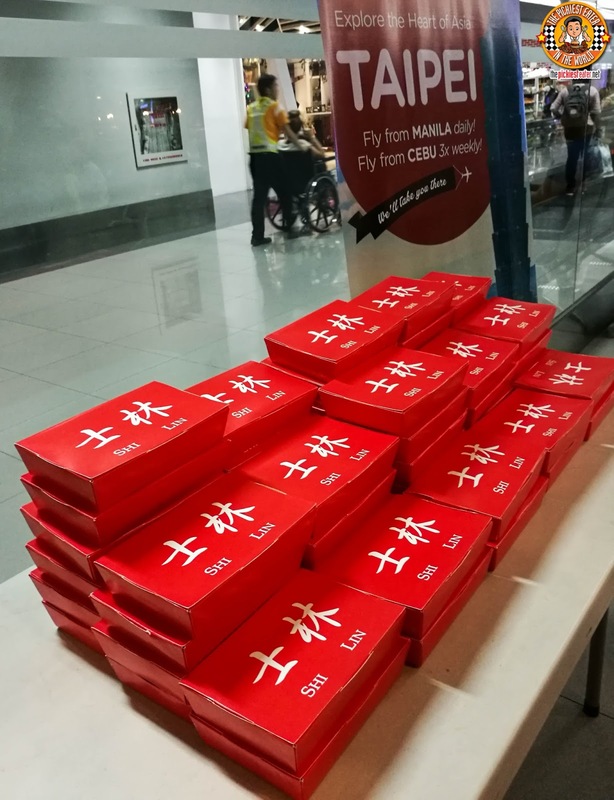 If you're pressed for time, this is something you can skip, and just get your Xiao Long Bao fix back in Megamall or Bonifacio High Street. Taiwan was a country where I was not expecting very much from, yet I found myself enchanted by a beautful country steeped in rich culture. The country's cleanliness is something that the Philippines should aspire to, and the warmth of the people is truly refreshing. If you're planning a trip out of the country, and wondering where to go, Taiwan should definitely be on your list for places to visit! 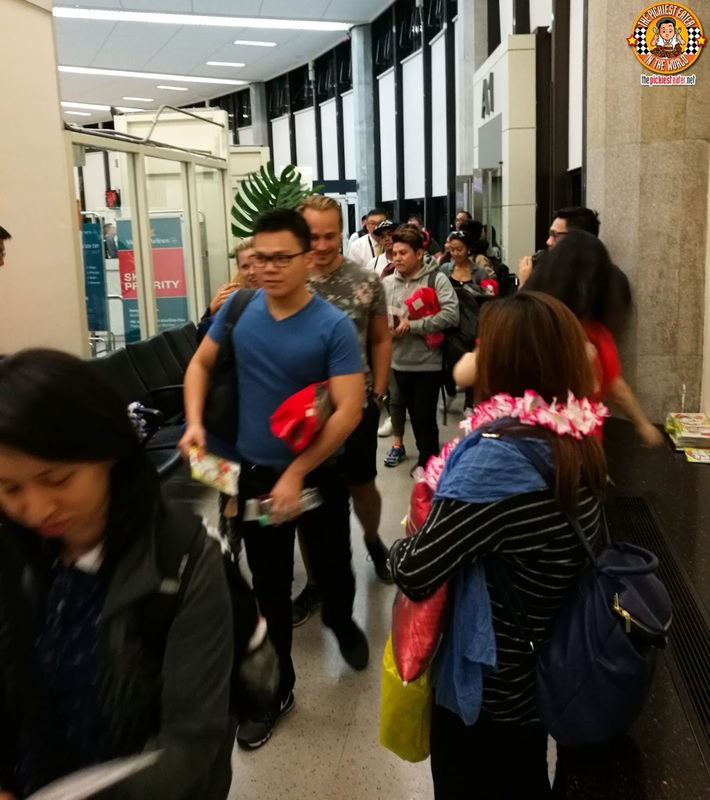 Also, how can you spot a pinoy in Taipei? Well, they're usually the ones that pose for a picture in front of this store! Visit the Air Asia Website for information on available flight deals!